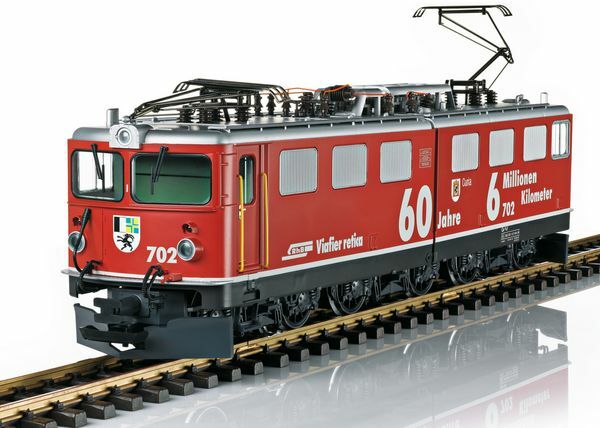 Product: This is a model of the Rhaetian Railroad class Ge 6/6 II electric locomotive, road number 702. The locomotive has a prototypical paint and lettering scheme for Era VI. 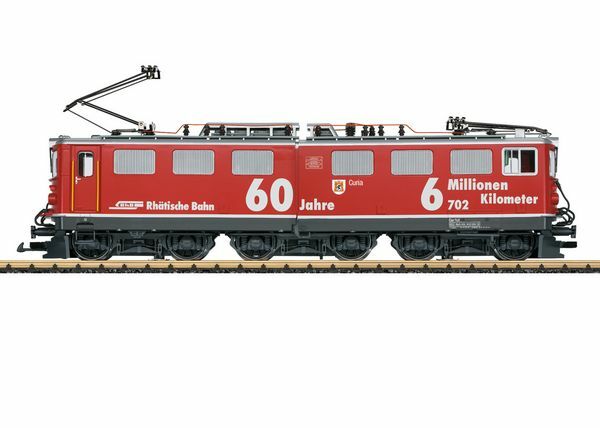 This is a special version with corresponding lettering for the 60th birthday of this locomotive. Four wheel sets are driven by two powerful Bühler motors with ball bearings. The locomotive has an mfx/DCC sound decoder with many light and sound functions. 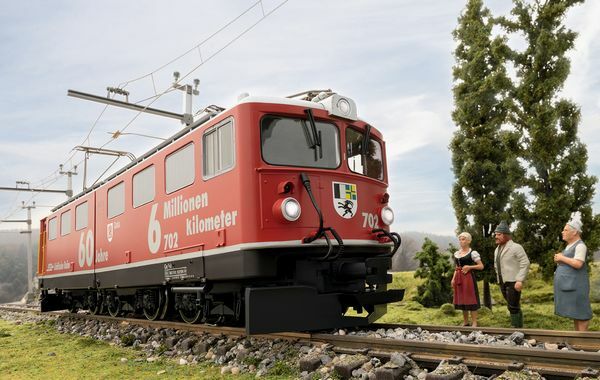 The single-arm pantographs are powered by servomotors and can be controlled digitally. The locomotive has the correct reproduction of the articulation at its center and prototypical roof equipment. Length over the buffers 65 cm / 25-5/8". A one-time series for the 60th birthday of this locomotive. Special lettering for the 60th birthday of this locomotive – just like the original.